I strongly believe that the Lancia Delta S4 Group B prototype has to be the nastiest, deadliest and most potent automobile ever created by a major car company, mostly because it’s powered by a 1.8-liter four-cylinder engine built by crazy people. 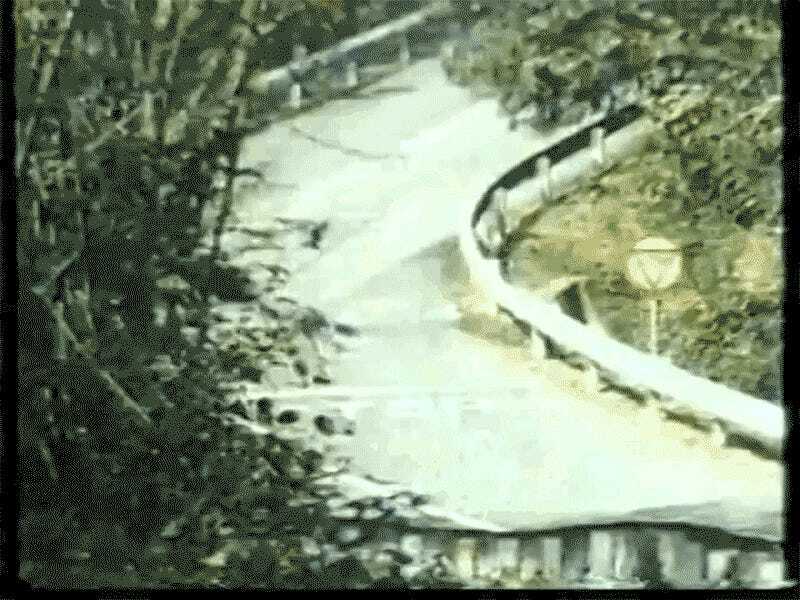 The good folks at Goodwood dug up this video from the depths of YouTube, which appears to be shot by Abarth during a secret shakedown of their S4 prototype in 1984. Driven by Finnish legend Markku Alén, the flat black Lancia does exactly what it needed to in order to have a shot against Audi’s turbo five and Peugeot’s equally bonkers 205 T16: spool up the air with its twin-charged system to get at least 550 horses out of 1.8 liters, even at lower boost. Is it the scariest engine? I think so. How about you? Hit me with the supercharged straight-eights of the Nazis or the madness that is Mazda’s four-rotor Wankel, but at the end of the day, nothing would make me crap my pants faster than hearing that super- and turbocharged four banger behind my back. It really is time to shoot the Italian version of Mad Max. They got the most important part covered. If there’s an engine made by an established carmaker that burns fuel in a more violent way, please show it to us below. Let’s make some noise people!